Come and enjoy a fun "feuding" time. Create teams from your family or friends and compete in a fun and exciting fellowship. 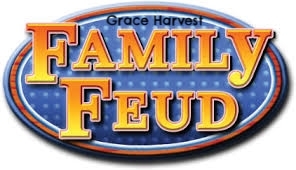 "Let's Play the Feud" Sign ups begin Sunday October 1st after service or here on line. Thank you, teams must arrive no later than 5:30 PM. We look forward seeing you there.